Whether you are fashion obsessed and follow fashion, beauty, runway reviews, celebrity style and fashion, fashion and beauty trends, designers, models or just curious about what runway shows, beauty products or Fashion's Night Out events Long Island has to offer - you are at the right place. Browser through the Long Island Browser events calendar "Fashion and Beauty" section to find the appropriate fashion event for you! 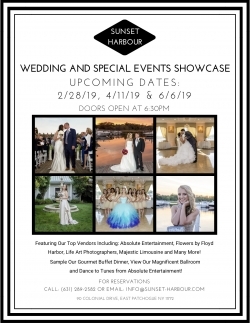 Wedding and Special Events Showcase at Sunset Harbour 2019 at Sunset Harbour in East Patchogue, Suffolk County, Long Island, New York. 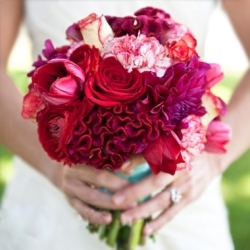 A Bride's Wedding Expo Realistic Indoor Experience Bridal Showcase May 2019 at Holiday Inn in Plainview, Nassau County, Long Island, New York. Tags: Long Island fashion events, Long Island runway shows, Long Island fashion shows, runway galas, fashion trends, styles, celebrity fashion, beauty, Fashion's Night Out, laser cosmetic centers, jewelry, make-up cosmetics vendors, designers, models, supermodels, hair stylists, skin care professionals, organic beauty experts, Nassau County, Suffolk County, Hamptons, Long Island, New York.